Discussion in 'iPhone and iPad Games' started by Nyxpixel, Nov 19, 2014. Evil has begun to creep from the darkness, approaching the villages and threatening the kingdom. The king has called on a young mage to save the land! That's you! 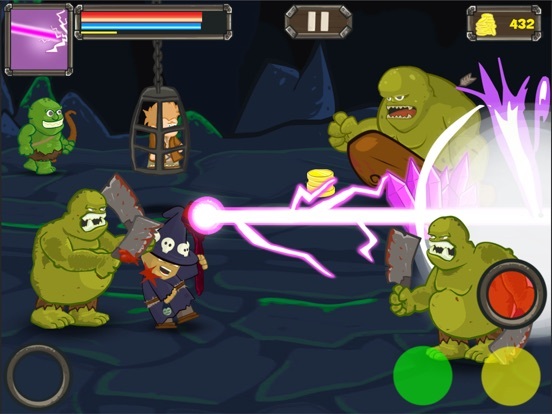 BattleMage is a fast paced side-scrolling action RPG. 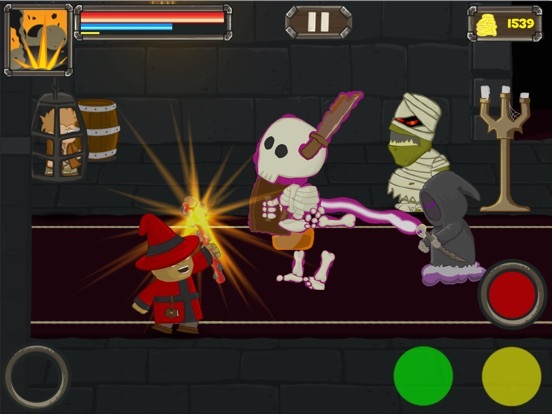 Take control of your mage, as you fight an army of orcs, spiders, and undead! 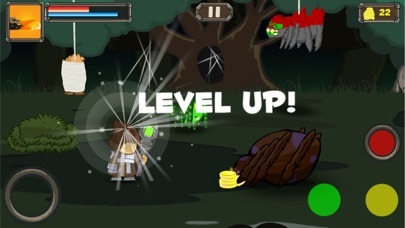 Reach the end of each stage before the enemies over-power you, and level-up your hero to gain powerful spells, skills, and gear. Follow on twitter @nyxpixel, for news on games and updates! I was wondering the same. I was debating on picking it up. What did you think of it Sanuku? It's zombieville 2 with magic. 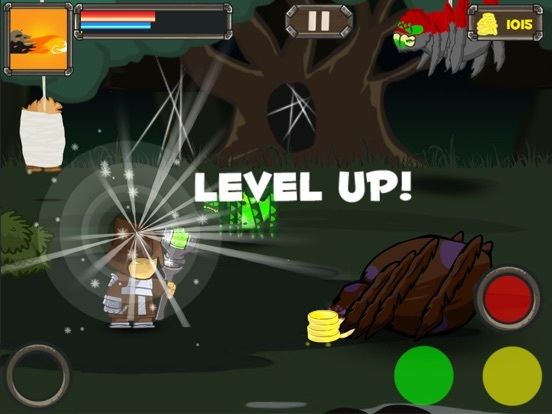 You level up pretty quickly, and coins are plenty. There is a nice amount of gear to unlock, and the skills are fun to use. Seriously, this is worth more than the asking price. Looking at the screen shots, this game looks like it has some depth with skills and equipment. Kinda reminds me of Battleheart with zombies too. Got my eyes on this one until further impressions. Hey everyone, I'm the developer of BattleMage, thanks for the kind words about the game. Really great to hear people are enjoying it! I kind of thought the same thing from watching the video. I ended up picking it up. Haven't played it yet, but looking forward to it. Looking at the screen shots, this game looks like it make have some depth with skills and equipment. Kinda reminds me of Battleheart with zombies too. Got my eyes on this one until further impressions. It's $.99.... If you like zombieville usa 2, you'll like this. This is quite a cool game for the price. I think the comparisons with zombiville usa 2 are justified. Happy to see more quality products and support indie devs like yourself. After the video it's a buy for me as well. Thanks a bunch! In hindsight releasing on a week with so many great games probably wasn't my best laid plan. Though it feels good knowing that everyone that has played it, only had good things to say! One other note, my game made the list of GOTW Nominees (and someone even voted for it already! ), I'd appreciate any votes, if you think it's deserving! Please bear with me as English isn't my native language. Based on completing stage 1. The game starts with a relaxing music that are fitting for the time period. There are 3 slots to save your game. The king requested the assistance of a wizard whose spells and skills are dependent upon training. 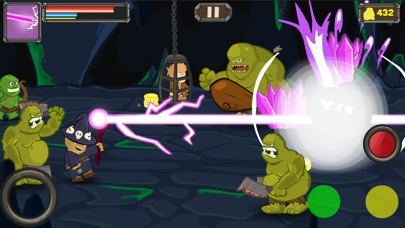 Training the spells help give the wizard a new variety of attacks. You are given 3 spells to start with on your journey. Skills are not given but must be earn through at least one gameplay in which you will earn skill points to spent on a number of skill. Money earned can be used to upgrade your gears and outfits. Both gears and outfits give different stats to your protagonist. An example would be better attack spells or defense. The game starts off with some tutorial that could be clearly understood. The controls are at the right sensitivity and feels comfortable to play. You must save captives along your adventure. 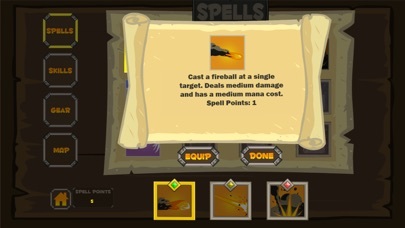 Spells deplete the mana bar but will quickly regenerate. Monsters occasionally drop coins. Coins don't seem to disappear giving the time to collect it. Overall, I'm having fun with this. It seem there isn't much negative so far coming from my perspective but others might find a fault in which I don't see. Thanks for the great game. I hope more people buy this. Recommended! 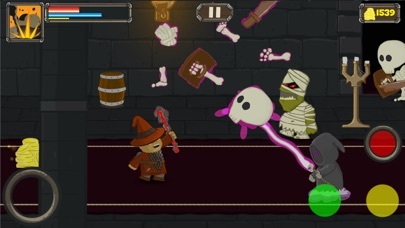 Impressions: yeap, if Zombieville and Battleheart had a baby, it would be Battle Mage. You get 3 basic spells Fire Lightning and Ice at the beginning, with different damage/mana ratio, and lightning has a stun chance. 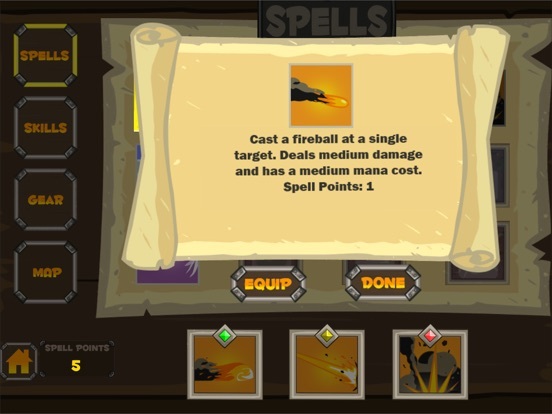 From then on, there are 3 more spells to unlock in each category, similarly different damage/mana ratio + effects, that are really cool, with clasics like Meteor and Blizzard, and some dark magic balls and beams (imo the coolest). 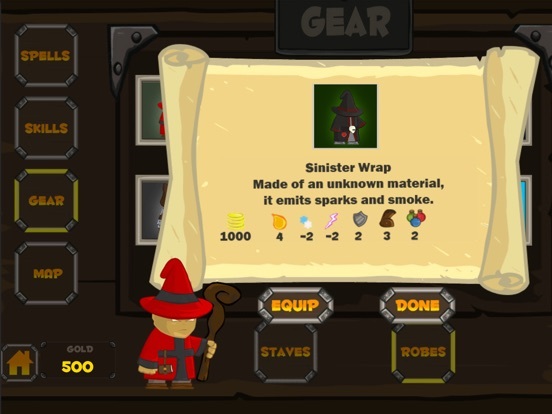 With the ingame gold you can buy 10 staffs and 10 robes with different stats and looks (even a Staff of Timmy- i had a wow moment reference there). Gameplay starts relaxing, but soon gets frantic as some brutes can even fill half the screen and take a lot to bring down, leaving you with almost no mana for a while. 1)if i kill an enemy out of the screen, i can't loot the gold since the screen doesn't go back, and the play area in a screen is a bit limited by character and enemy big sizes. 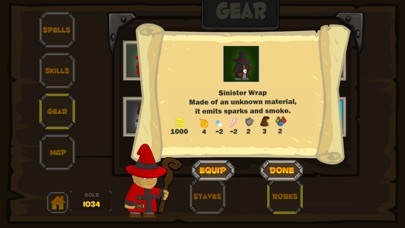 4) Can you add the witch? Overall very enjoyable and well worth the $$! Thanks, i have worked as writer/editor in a magazine, so i probably have that advantage your impressions were good also in content, just not easily read in the "wall of text". If you can use clear cut sentences and points instead of the text wall, it will instantly improve in readability!